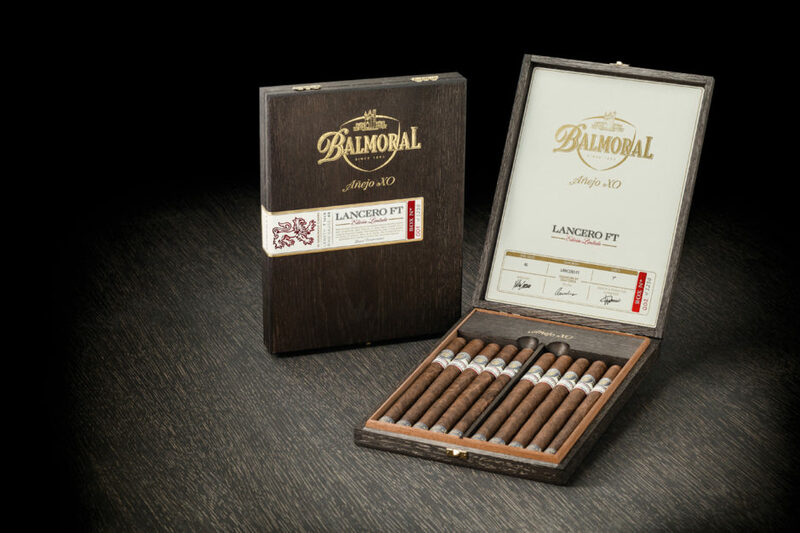 Royal Agio Cigars USA announced today that they are re-releasing the Balmoral Añejo XO Lancero FT Edición Limitada. Shipments to retailers begin mid-November. 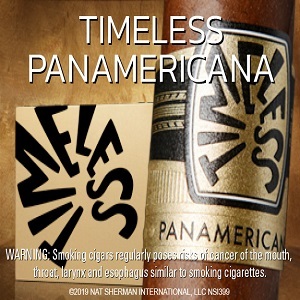 Originally released during the 2016 IPCPR, the Balmoral Añejo XO Lancero Flag Tail (FT) Edición Limitada became a fast favorite among premium cigar smokers. Based on the positive response to the original release a little over 2 years ago, the Lancero FT will be available once again in limited quantities, with a total of only 500 individually numbered 10-count boxes being produced. This time around, however, availability will be limited to the U.S., with distribution priority given to existing Balmoral retailers. 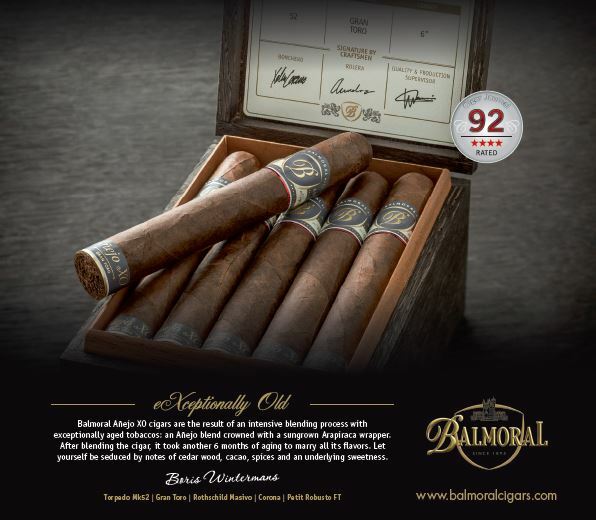 The Balmoral Añejo XO Lancero FT (7 x 40; MSRP $12.95) is crowned with a Brazilian Arapiraca wrapper, and blended with a Dominican Olor binder and Nicaraguan, Dominican and exclusive Brazilian Mata Norte fillers that will embrace your palate with complex notes of cedar, cacao and peppery spices that finish with a smooth, underlying natural sweetness. The Balmoral Anejo XO Lancero FT, like the rest of the Balmoral Anejo XO portfolio, is handcrafted at the boutique, Royal Agio cigar factory in San Pedro de Macorís, Dominican Republic. 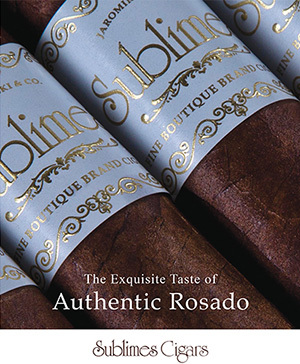 Balmoral Añejo XO blends are also offered in the following regular production vitolas – Torpedo Mk52 6 1/4 x 52 (MSRP $11.25), Gran Toro 6 x 52 (MSRP $10.50), Rothschild Masivo 5 x 55 (MSRP $9.75), Corona 5 7/8 x 42 (MSRP $9.00) and Petit Robusto FT 4 1/4 x 48 (MSRP $8.50). 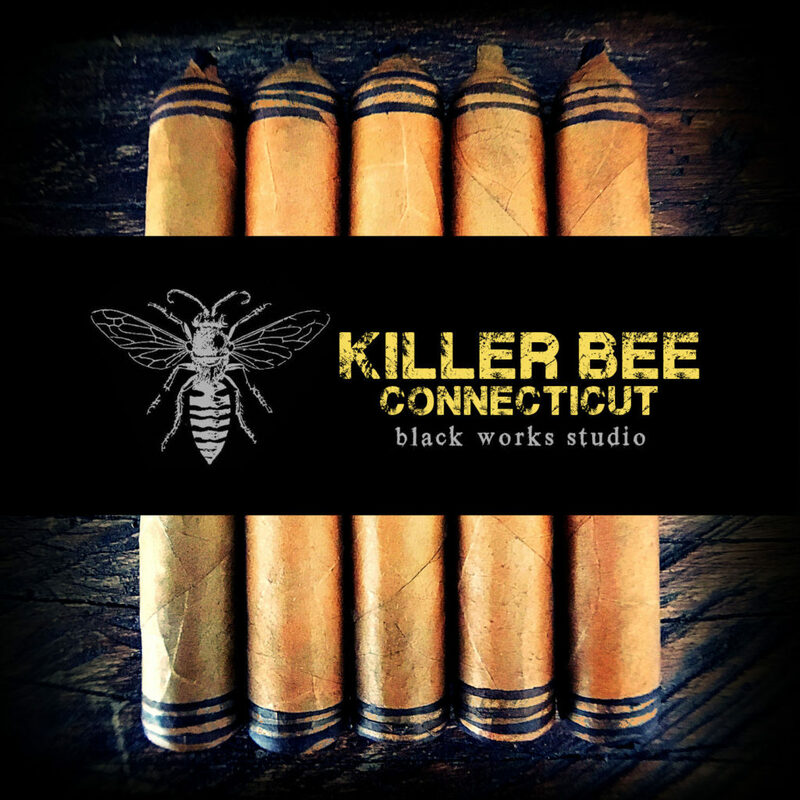 Black Works Studio (BLK WKS) is pleased to announce the release of Killer Bee Connecticut: hand crafted in Esteli, Nicaragua at Fabrica Oveja Negra. For more, check out our review of BLK WKS Boondock Saint! 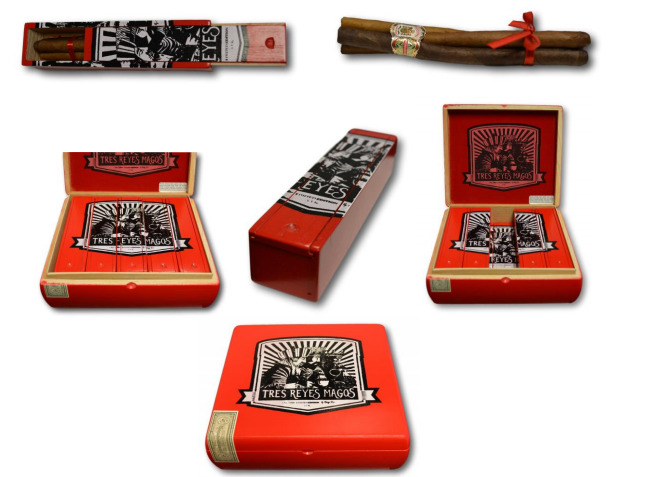 Gran Habano announces the limited seasonal release of its culebra-style cigars, Los Tres Reyes Magos, just in time for the holidays. Los Tres Reyes Magos, or “The Three Kings”, is a box of 10 “culebra” style cigars (three, 32 x 7 cigars tied together, each encased in its own coffin) using the Gran Habano #1, #3, and #5 blends. Los Tres Reyes Magos is manufactured in Honduras and currently available for shipping to retailers nationwide. 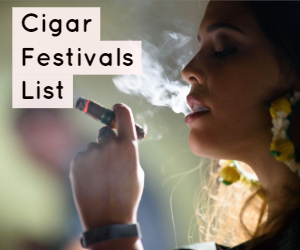 A box of 10 culebra cigars has a suggested MSRP of $140.00.